Martha's Vineyard News, Car Rental | What’s Your Vacation Personality? Discover Which Martha’s Vineyard Town Fits You Best, or See Them All! Do you love the great outdoors? Are fine restaurants important to you? Is shopping your thing? Or could you spend a day hiking in nature and sight-seeing? Whatever your interests, Martha’s Vineyard’s six different towns, each with a distinct personality, have something special for you. 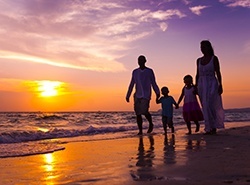 Topics: What’s Your Vacation Personality?